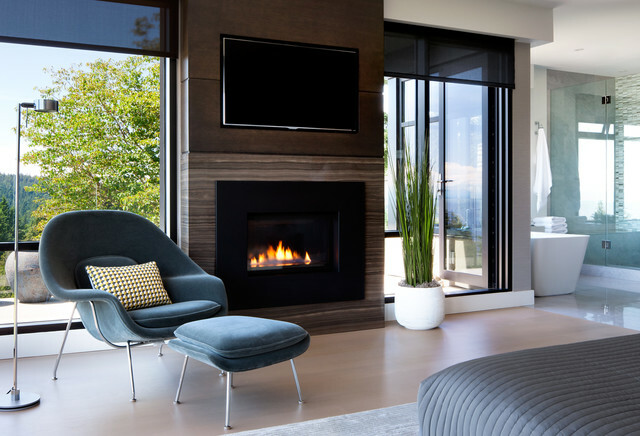 This is called the Womb Chair by Knoll and was purchased at Inform Interiors here in Vancouver. Fireplace mantle - What material was used for this? It is gorgeous! This is a brown vein cut marble fireplace surround with stained rift sawn oak millwork above. what is the material around tv and fireplace ?